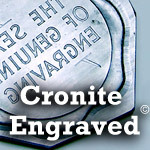 Cronite produces the industry leading KB water based acrylic inks for use on flat stamping intaglio machines. The KB inks are designed to be quick drying and they shrink as they dry to provide sharp, crisp lines in the finished image. Once the KB ink is dry it becomes water insoluble and can also stand up to the heat of today’s laser printers. Yet because they are water based, they are easier to clean the press, and more environmentally friendly. Beautiful metallics ranging from Sterling Silver to various shades of gold. 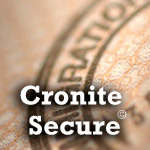 Cronite’s proprietary colored metallic inks which produce a two toned imprint with one pass. As with all Cronite inks, they are unequalled in their consistency, color saturation, and long-term stability. KB inks are sold in 7 pound cans or 3 ½ gallon pails. Contact us to get our color charts and ink listing of all stock colors. Although varnish based inks are not widely used in the United States, some applications require the shine which only a varnish ink can produce or some security applications simply require a solvent based ink. While the shelf life of varnish based inks is longer than that of water based inks, cleanup of the press is more difficult as solvents must be used. In addition, varnish inks are not laser proof and will melt at low temperatures. Cronite varnish based inks are sold in 6 ½ pound cans. Cronite also produces a line of gloss inks which have a shine or gloss finish like a varnish based ink, but the inks are not solvent based. This makes the gloss inks more environmentally friendly than varnish based inks and allows for quicker clean up of the press between jobs. 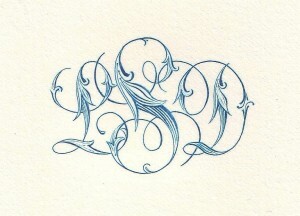 The gloss inks must be used with special additives which are listed on the additives page. In addition to offering high quality stock colors of water-soluble and varnish-based inks, Cronite can quickly match colors. We can match your wet or dry sample or a color from any matching system with the use of our spectrophotometer. Special colors are made with the same quality ingredients as the stock colors shown on our color chart. 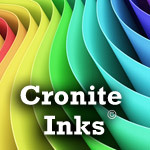 Cronite’s extensive stock of ink additives will help any pressman overcome their ink problems.